Valpak of The Grand Strand gives you more impact for less money with The Blue Envelope’s shared direct mail marketing. You’re able to target the local areas you want and leave out the areas you don’t, saving you money and improving your ROI. Choose from a variety of options for your printed insert, including single or multipanel formats, circulars and cardstock with unique imprinting. Valpak of The Grand Strand also offers powerful digital marketing solutions and the proof of performance you need to evaluate your marketing campaigns and ad spend. Contact us today and learn about our online advertising solutions, including social media marketing, SEO, online display advertising, and web development. We can design a complete, search-optimized business website or business profile page featuring your offers and brand. When it comes to digital, we’ve got you covered. 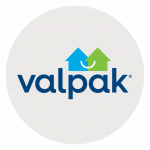 Valpak works for many types of businesses, including shops, restaurants, entertainment and travel, professional and general services, home improvement, health and medical and personal services. As a longtime leader in targeted marketing, Valpak has unique ROI measurement capabilities. Our performance dashboard and call tracking tools analyze consumer response to your offers to show you exactly how your advertising spend is performing. Contact your local Valpak office today to learn how you can reach up to 80,000 qualified households in South Carolina cities like Myrtle Beach, North Myrtle Beach, Florence, Conway, Murrells Inlet, Hartsville, Georgetown, Darlington, Little River, Pawley’s Island and Society Hill. For specific dates and coverage, contact your Valpak of The Grand Strand representative.